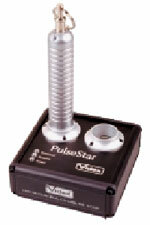 PulseStar is a portable iButton reader designed for maximum durability in both indoor and outdoor applications. It reports a successful iButton scan with a vibrating pulse instead of with sound, making it ideal for use when sound cannot or should not be heard. TouchProbe is a portable iButton reader designed with a metal case. Both the TouchProbe reader and the memory buttons are durable alternatives for outdoor tamperproof data collection. LaserLite is a very small, rugged portable laser barcode scanner. 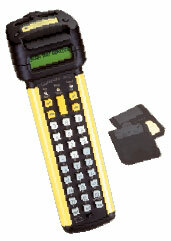 It's unique metal case design and battery system give the user a very reliable and easy-to-use data collector. LaserLite is a cost-effective solution for warehouse and industrial applications. LaserLite MX, an enhanced version of the LaserLite Pro, accepts a small external card known as a Solid State Floppy Disk Card (SSFDC). The enhanced memory and the dual microprocessors allow for extensive searches, match inquiries, large cross-reference files and multi-tasking capabilities. LaserLite Pro and LaserLite Mx can scan over 100,000 barcodes using one set of batteries. LaserLite Pro combines a laser scanner and Touch Memory button reader with an alphanumeric keypad. 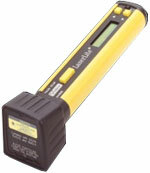 An LCD display, 256kb of RAM, convenient one-handed operation, and a lightweight metal husing make the LaserLite Pro ideal for all portable data collection applications.